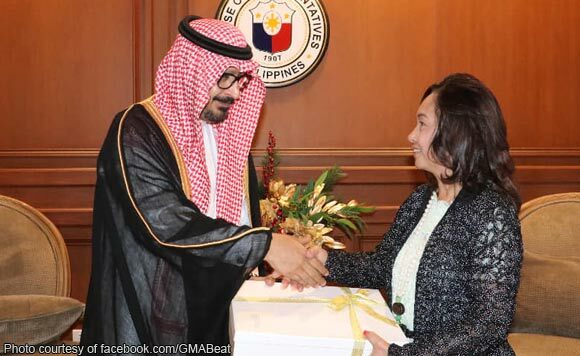 Speaker Gloria Macapagal Arroyo welcomed Saudi Ambassador to the Philippines Abdullah bin Nasser Al-Bussairy on Tuesday, November 13. Bussairy paid a courtesy call on Arroyo at the House of Representatives. In a post on her official Facebook page, Arroyo said Bussairy had recalled the state visits she made to Saudi Arabia back when she was still president. At the time, the former Philippine president sought clemency for hundreds of distressed overseas of Filipino workers. Now that’s some throwback for you!